Indoor mold contamination of a Woodlynne, NJ property poses a great threat to you and your family. Mold exists virtually everywhere, and it is a vital part of our well-balanced ecosystem. However, if indoor mold levels are elevated beyond “normal,” it begins to hinder the safety of anyone exposed for prolonged periods of time. “Normal” is defined by the outdoor spore count of the natural environment outside of the property. Elevated indoor spore counts indicate an underlying indoor water problem that is promoting the excessive fungal activity. If the mold and the water problems are not resolved, you can be greatly compromising your safety, your family’s safety, and your property value. If you think you are detecting signs of mold growth in your Woodlynne, NJ residential or commercial property, your first step should be to consider having a certified mold inspector conduct a Woodlynne, NJ mold inspection. A professional mold inspection will determine if you have mold, how bad it is, how to properly and effectively get rid of it, and how to prevent the mold from returning. Each MasterTech inspector is appropriately certified and fully trained to properly conduct thorough mold inspections in Woodlynne, NJ. Our inspectors are trained to use the safest and most up-to-date equipment and techniques to get to the bottom of your mold problems. At MasterTech we are committed to you and your family’s safety and best interest. We emphasize safe and effective mold removal in Woodlynne, NJ. Our team of industry certified experts have strategically developed a detailed, step-by-step mold remediation process that implements the safest and most up-to-date mold removal methods and technologies. 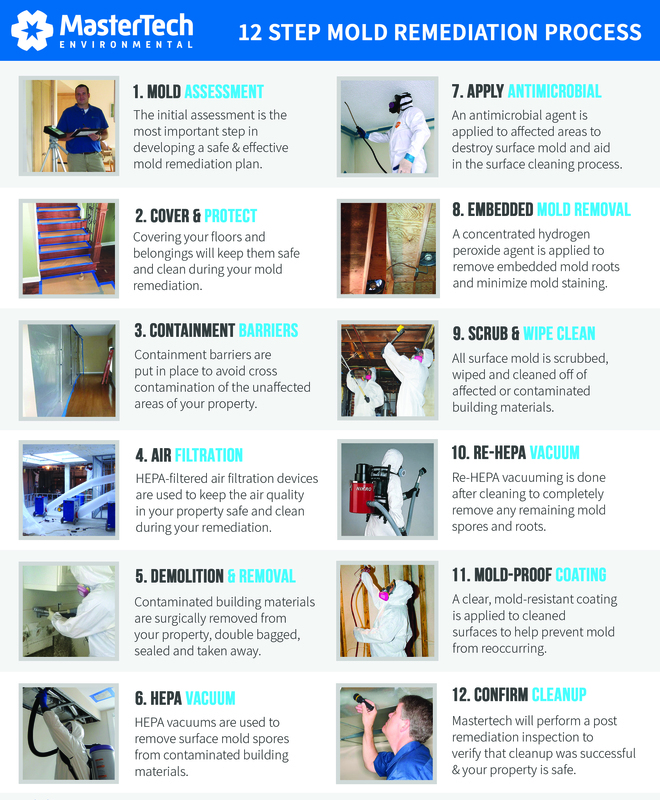 Our mold remediation is broken down into 12 detailed and strategic steps to ensure that your Woodlynne, NJ mold remediation is completed to the highest standard from start to finish. As proof of our commitment to doing the job right, we always complete post verification testing to confirm that the job just done accurately. We also back every mold remediation with a 5-year mold-free warranty. It is our promise that the mold has been safely and effectively removed, and it will not return. For mold removal and mold inspection Lawnside, NJ or mold inspection and mold removal Pine Valley, NJ call 1-800-310-3226 to speak with a member of our team.